The return of key international buyers and the reduction of inventory should be a catalyst for a strong year in Miami condominium sales, according to national real estate publication GlobeSt. 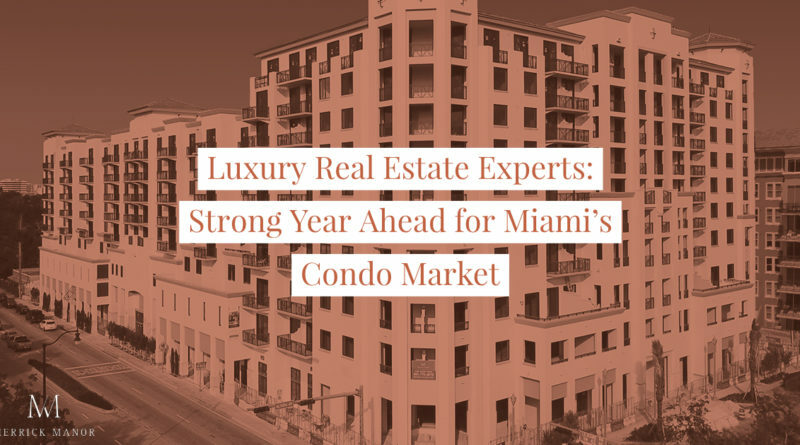 As developer The Astor Companies closes in on completing luxury Coral Gables residential project Merrick Manor in the coming weeks, real estate experts say transaction activity will intensify in 2019. In the GlobeSt article, International Sales Group Principal Craig Studnicky cited the “return of demand from Brazil, Mexico and Colombia” as a major driver in the market strengthening. Merrick Manor is certainly seeing an uptick in interest from Mexico in particular. Now more than six months removed from the presidential elections, Mexican buyers are actively looking to purchase high-end residences in Greater Miami. Coral Gables is proving to be especially appealing because of the unparalleled lifestyle of the “City Beautiful” and the stability of its residential market. Located at 301 Altara Avenue, Coral Gables, FL 33146, the 10-story, 227-residence Merrick Manor is just steps away from the luxurious Shops at Merrick Park. Construction of Merrick Manor will be completed during the first quarter of 2019. For more information, contact the ONE Sotheby’s International Realty sales team. To obtain other information about the residences at Merrick Manor, call (305) 779-6870 or visit the project Sales Gallery at 4200 Laguna Street, which is located directly across the street from the project site.